USEReady Ranked #113 in the 2015 Inc. 5000, an Exclusive List of America's Fastest-Growing Private Companies. With three-year sales growth of 3,059%, USEReady ranks #13 among the top software companies, #4 in New Jersey, and #11 in New York Metro City area. New Jersey, August 17 2015 - USEReady, a leading provider of self-reliance data solutions, today announced that it was ranked #113 in Inc. magazine’s 34th annual Inc. 5000 list. The Inc. 5000 list recognizes and ranks the nation’s fastest-growing private companies and represents the most comprehensive look at America’s independent entrepreneurs. Companies were evaluated based on three-year growth, 2014 revenue and the number of jobs added. Inc’s 2015 ranking includes the most competitive group of companies in the list’s history. 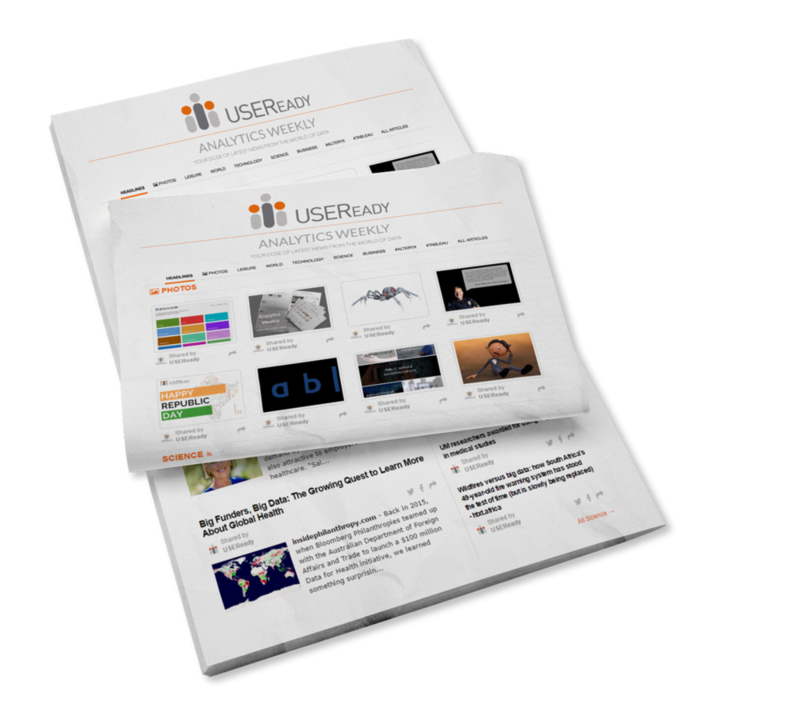 USEReady is a leading provider of self-reliance business intelligence solutions, with proficiency in analytics, governance and security. Since inception, USEReady has been at the forefront of innovation in the field of analytics governance, and groundbreaking process techniques of dashboard creation, data alignment and eventual performance of dashboards. The company’s mission is to help enterprises own their data, and help them build a mature, sustainable and scalable analytical culture in their organization, with minimum opportunity costs. “It is a great honor to be included in this year’s Inc. 5000,” says Uday Hegde, CEO, USEReady. “We are honored to share this recognition with our employees, customers and partners. This award is a true testimony to the collaborative efforts towards our mission - which is helping businesses succeed with data.” he added. The annual Inc. 5000 event honoring all the companies on the Inc.5000 list will be held from October 21 to 23, 2015 in Orlando. Yelp, Pandora, Timberland, Dell, Domino’s Pizza, Zillow and many other well-known companies have been previous members of the Inc. 5000 list. To see the 2015 ranking, visit http://www.inc.com/profile/useready. The Inc. 5000 is a list of the fastest-growing private companies in the nation. Started in 1982, this prestigious list of the nation's most successful private companies has become the hallmark of entrepreneurial success.The 2015 Inc. 5000 is ranked according to percentage revenue growth when comparing 2011 to 2014. To qualify, companies must have been founded and generating revenue by March 31, 2011. They had to be U.S.-based, privately held, for profit, and independent – not subsidiaries or divisions of other companies – as of December 31, 2014. The minimum revenue required for 2011 is $100,000; the minimum for 2014 is $2 million. We are a leading provider of Self-Reliance Business Intelligence solutions, with centers of excellence in big-data analytics, visualization, governance and security. Our mission is to help enterprises own their data, and help them build a mature, sustainable and scalable analytical culture in their organization, with minimum opportunity costs.